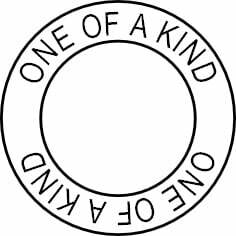 Have your name or company in the centre of this 'One of a Kind' (OOAK) circle stamp. Ideal for stamping onto the back of your cards, or use as labels on handmade items. Makes an ideal gift for crafters. Stamped area is 3cm x 3cm. 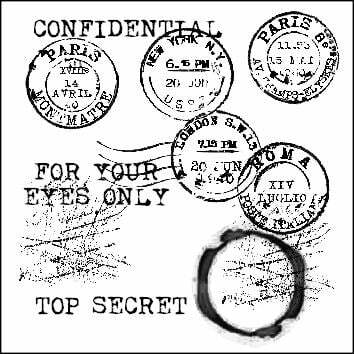 These are clear, unmounted stamps, you will need an acrylic block or something flat and shiny for the stamp to stick to, see the stamping instructions.